The Indian stock market closed 2 percent down as investors perceived the big holes in Minister Pawan Kumar Bansal's Railway Budget as an indication that the government's reform momentum may be slowing down. 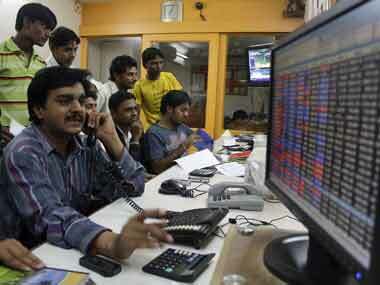 Sensex closed at 19015.14, down 1.64 percent and Nifty closed at 5761.35, down 1.60 percent. According to a Reuters report, shares hit a three month low. Rail-related shares closed with losses. Titagarh Wagons closed down 8 percent, Kalindee Rail Nirman closed down 12 percent, Texmaco Rail and Engineering closed down 11 percent and Kernex Microsystems closed down 15 percent. Those stocks that were higher on budget hopes also cut their gains or even declined. CEBBCO closed up 2 percent. Bhel closed down 3 percent. Ramesh Chandak, CEO of KEC International, said the Budget is disappointing as no major capex in dedicated freight corridors were announced and there was no major increase in overall investments. He, however, said the budget proposal to electrify 1200 km of tracks and the investment in the signalling system is good for his company. The rail minister announced a fuel adjustment charge which will raise freight rates by 5 percent, but refrained from increasing the passenger fares further. The fares were increased in January. But after that the government had partially decontrolled the diesel prices, which warranted another increase in the fares. That he refrained from doing this has been taken as a signal that the forthcoming Union Budget may also be a populist one. Bharti Airtel closed up 2 percent on hopes the government will be forced to cut the reserve price for airwaves after just one potential bidder emerged for a $7.9 billion spectrum sale next month. Jet Airways closed down 11 percent amid investor concerns whether its stake sale deal with Abu Dhabi-based carrier Etihad would materialise.